ServiceMaster of Markham/Richmond Hill uses cleaning methods and products that have been tested and refined over our over 65 years in the commercial cleaning business. We can provide a commercial carpet cleaning program that is right for your business, and your budget. The team at ServiceMaster of Markham/Richmond Hill will work with you to schedule a suitable time, typically after hours. 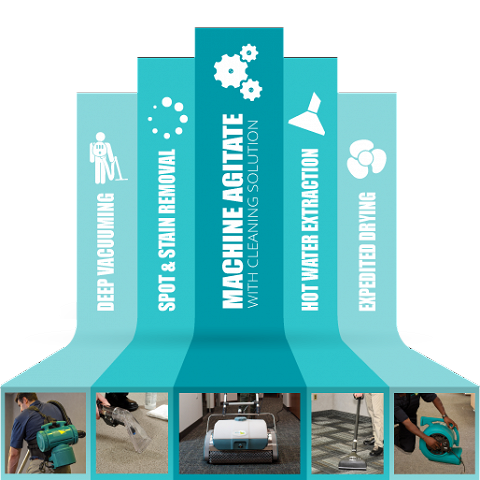 In the event that it is unfeasible to clean the entire area in one visit, we will develop a customized program to clean your carpets in sections. Our technician will also inform you of estimated dry times needed.